Over the past four years, the amount of seed investment has increased by more than 200%. And the typical seed investment size has risen by 25% in just the last 12 months. In 2014, for the first time in four years, median Series A round size have increased. When we analyzed the data last year, this wasn’t the case. But in 2014, the median Series A hit $6.8M, increasing 14% over the trailing three year average. 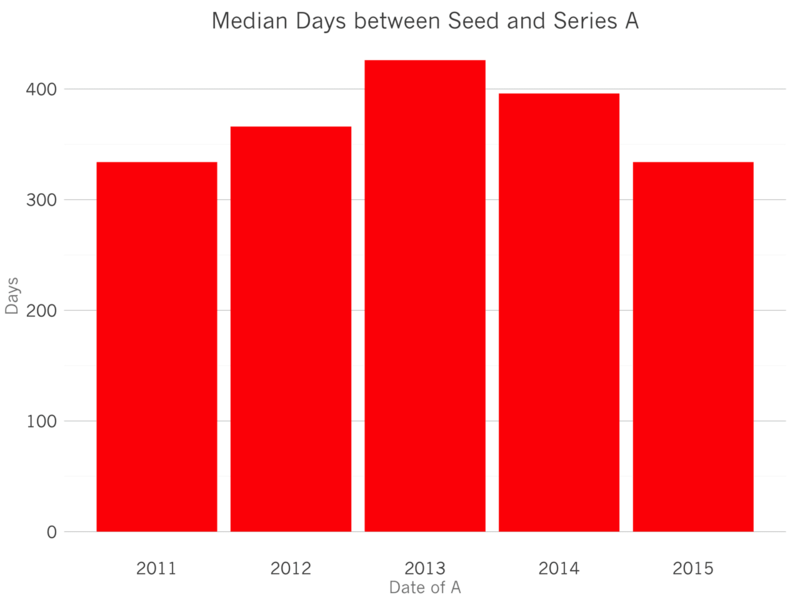 These larger seed rounds aren’t elongating the period between seed and Series A. The typical startup raises their A about 400 days, or 13 months, after the close of their seed, just the same as four years ago. 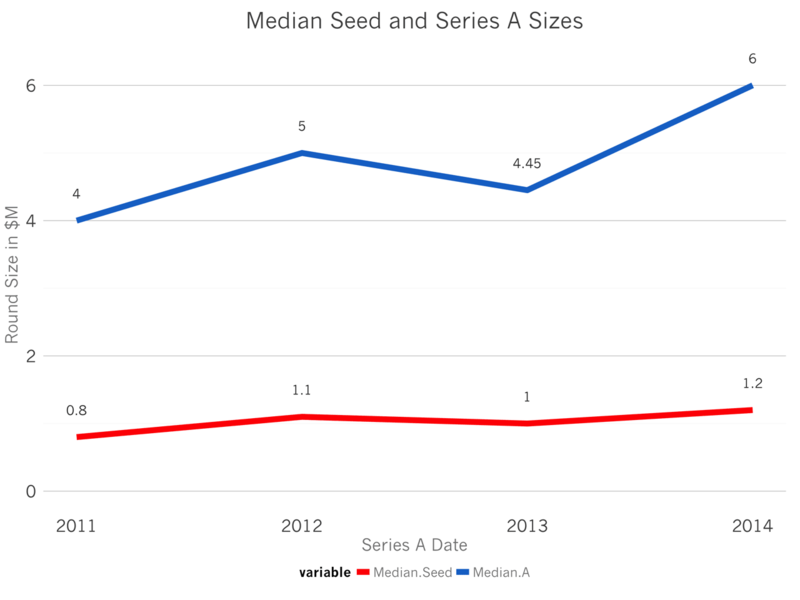 And the correlation between seed round size and series A round size is still weak: the R^2 is about 0.35, a figure which has actually declined over the past four years. So larger seed rounds aren’t correlated with larger Series As. Startups are raising larger Series As for two reasons. First, startups are growing faster than ever before. Second, investors have raised huge amounts of capital. In 2014, VCs raised close to $50B, nearly 2x more than the median over the last 15 years, and half the amount in 2000. This increased competition increases prices. Series Bs and Series Cs have increased in size over the past few years, and so have seeds. But 2014 was the first year in which the Series A round size grew. All this data underscores how fertile a fundraising environment exists for founders. Round sizes, valuations and numbers of rounds are all expanding quickly. Part and parcel of this expansion are more competition for talent and real estate and more competitors in attractive sectors and consequent greater startup operating costs.